Fort Largs at Taperoo is one of only two forts built to defend South Australia. The other, Fort Glanville, is further down Adelaide’s coastline at Semaphore. Both forts have great heritage significance as evidence of nineteenth century defence strategy and technology. Now, there is a new risk to the fort. Not the Russians, but a State Government proposal to sell off the Fort Largs site to developers, including the historic fortifications and associated buildings. As part of the British Empire, South Australian colonists took a keen interest in international affairs. Following Russia’s easy victory in the Russo-Turkish War of 1877-8, Britain moved to shore up defences against possible attacks by Russia’s Pacific fleet. South Australia’s governor, Major-General Sir William Jervois, personally oversaw the strengthening of coast protection in all the Australian colonies, including the new forts at Taperoo and Semaphore. Fort Largs was constructed between 1883 and 1884. It operated as a military installation for almost 80 years. Between 1961 and 2011, it housed the South Australian Police Academy until a new facility opened in 2012. Thousands of people have served at the site for both the army and the police force. Fort Largs was officially confirmed as a listed State Heritage Place in 1986. In March, the State Government announced plans to sell off the Fort Largs site. Despite a number of representations to the Government, Deputy Premier and Minister for Housing and Urban Development John Rau has declined to provide any assurances about the future of Fort Largs. He has advised that the site will be offered for sale by Renewal SA as a whole, including the heritage listed structures. He is proposing that it will be up to the new owner of the site to determine a new use for the Fort. Simply shifting responsibility for preserving the Fort to the new owner of the site provides no guarantee for the Fort’s preservation or for providing public access to this important heritage site. Recent experience with sites like Union Hall at the University of Adelaide, the City Steam Biscuit Factory (home of the Jade Monkey music venue) Eastwood Lodge at Glenside, Islington Railway Works and the Mission to Seamen building at Outer Harbor shows interim heritage listing offers uncertain protection from demolition. And even permanently listed sites such as Bell’s Plumbing in Stepney can be allowed to deteriorate into ruins. 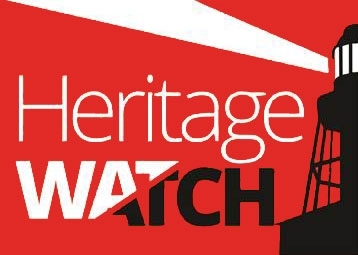 In recent years successive Planning Ministers have summarily removed provisionally listed sites from the heritage register to make way for their demolition. South Australia’s heritage protection system has been seriously undermined by Ministerial whims and the special pleadings of developers. We seek your support to demand that the heritage of Fort Largs is not sold off to developers but protected and preserved for future generations. Local residents can also press the Port Adelaide and Enfield Council to take a stand to protect this irreplaceable piece of South Australian heritage. You can also sign our online petition to the Premier below and share this website and petition via social media. What about our history there in SA? It is outrages that people even consider destroying a Old Fort like that in this country. How about if it this was happening to be in the UK or somewhere in Europe or anywhere else? People travel all over the world to visit special places like this. What about our service men & women? (where is our respect?) Don’t think about now think about the future. It needs to be preserved, not destroyed. Look after this and people will come from all over to see this. It’s cannot be replaced at all. Well said David. It is shameful that the Government is thinking about selling off our heritage to make a quick buck. Thousands of men (and women) served at Fort Largs. Their service needs to be honoured there not turned into a ‘housing development’. We have asked the Government for an open day at Fort Largs too, but they just refuse to let the people in (like they did with Z Ward.) Please consider signing our petition to the Premier about Fort Largs. I think it’s appalling that governments sell of these heritage buildings and sites. We’ve lost Glenside, is the same going to happen to Martindale Hall and Fort Largs for a quick buck??? When that money’s gone, then what??? There will be no history left. Enough has gone already. They should be supporting these places not selling them. If they turned them into tourist sites they could make money off them for the upkeep. How about a bit of thinking outside the square for once politicians??? Why should they even have the power to sell it all off????? Well said Kay. It is very short sighted thinking to sell off our heritage for a quick buck. We need to remind the Government that these assets belong to the public and we want them preserved for future generations. With the support of people like you we can make the Government reconsider its position on the sale of Fort Largs and Martindale Hall. Save Fort Largs DON’T let the Politicians BLOCKADE IT UNTIL THEY SEE SENSE! Selling off history WONT FIX THE STATE DEBT TOURISM WILL GO ALONG WAY TO FIXING THE DEBT. The campaign is continuing to ensure the Fort is protected and kept in public hands. Better still sell off the SA government if you could find a buyer. a quick short sighted return .Sell parliament house with all the pollies thrown in as a job lot . This State would be in the black financially in a very short time . Our politicians have forgotten that they were voted in by the people for the people therefore they should get rid of this secret regime that exists in South Australia . That’s part of South Australia from generation to generation everybody know about Fort Largs. Why does everything have to come down to Government deciding what stays and what goes. It needs to be preserved as one of our Nations Icons not get rid of it because its now a burden everything cost money surely Government can fix it up instead of spending rate payers money where its not needed. Instead of wasting money redressing Parliament house put it were its needed back here in South Australia LET THE PEOPLE DECIDE WHATS BEST WE MAKE THE BETTER DECISIONS THAN GOVERNMENT. Well said Josephine. It is a unique irreplaceable asset that is deserving of investment. The National Trust has proposed a complete renovation and adaptation of the fort so it could be open every day and preserved forever. The Government claims it cannot afford to do the work, so the fort continues to rot. Yes Joanne, we believe it could be a unique tourist destination, like Fort Scratchley in Newcastle and other forts in New South Wales, Victoria and Western Australia. Our Fort Largs is the only one of the original fort network that is not open and accessible to the public. This is part of who we are. Our history might be regarded as boring by some but it is vital to protect. Yes Gordon. It’s not boring if we can bring the fort back to life and share the stories of those who served there. Thanks for your support Robert. Let’s hope you and he get a chance to do that. It’s a remarkable place. Thanks Craig. Yes it is an important part of police history. Thanks Michael, I’m sure many people would agree. You can also visit the Say No the selling Fort Largs Facebook group. Thanks Vicki, that is what the National Trust is proposing, to create a tourism attraction that we can all be proud of. The Fort is too important to be left to rot. No part of our valuable history should be allowed to moulder and decay the way this has. It is shameful get it fixed and look after it. We are lobbying candidates in the State election to make a commitment to supporting the National Trust’s proposal for restoring Fort Largs. Please let your local MP know. Thanks Enza. Let’s hope one of the political parties will commit to a full restoration of the Fort as an important part of our heritage. What drongo desided to through away all that history? NO NO NO that’s a much better decision ! What we need Michael is a commitment to the regeneration of the Fort as proposed by the National Trust. Thanks for your support. 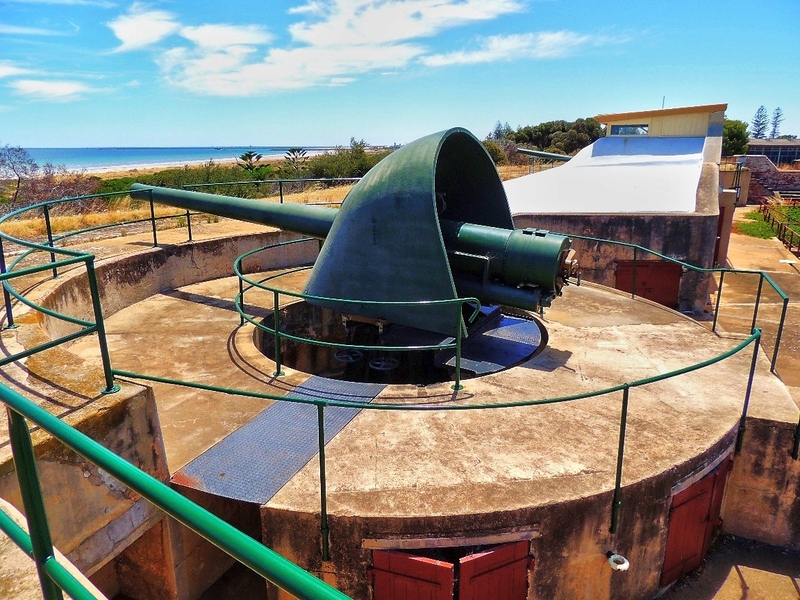 As a member of the Royal Australian Artillery Historical Society Of Western Australia (Inc) I have a specific interest in the Fort Largs guns. They are the most intact Coastal Defence guns within close proximity to the State capital anywhere in the country. At Leighton Battery near Fremantle WA, we have no such intact equipment and yet last year we hosted more than 5000 visitors through our site. Our WWII involvement will be coming into focus after the centenary of the armistice and end of WWI later this year. In Fort Largs, you have a unique opportunity to create a highly visible, historically significant tourist site, right on Adelaide’s doorstep. We are particularly concerned to save the guns and will be again proposing a national heritage listing for the site. The National Trust has submitted a viable proposal for the regeneration of the Fort as a heritage tourism destination but the State Government has made no commitment to the project. In the meantime the Fort continues to languish.